Newcastle-based software giant Sage Group, the UK’s largest listed tech company, said on Wednesday its revenue increased 7.6% to £1.85 billion in the year to September 30 and pre-tax profit grew 16.4% to £398 million. Sage’s new CEO Steve Hare said: “Sage has shown stronger performance in the second half of FY18. “The renewed focus on high-quality subscription and recurring revenue has generated momentum as we exited the year. “As CEO I will put customers, colleagues and innovation at the heart of everything we do to accelerate the transition to becoming a great SaaS business. “That means investing further resource in Sage Business Cloud, a continued commitment to customer success and a culture which values the individuals and promotes collaboration. 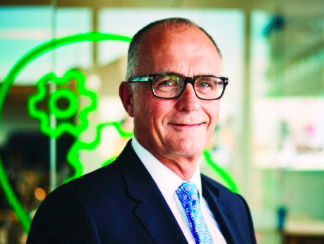 In its outlook, Sage said: “We expect FY19 organic operating margins to be broadly stable before the impact of around £60m of specifically targeted investment to accelerate the transition to SaaS, especially in product and innovation which will also enhance efficiency and effectiveness over time. “Including this impact, organic operating margin will be in the range of 23%-25%, maintaining strong free cash flow as a proportion of revenue.